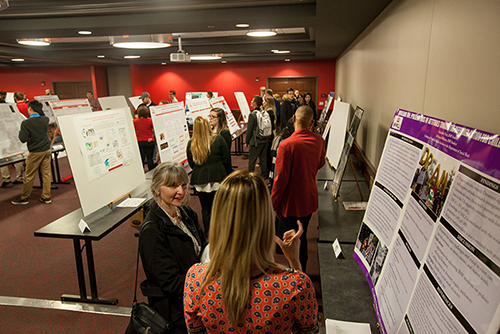 The WKU Student Research Conference will showcase scholarly activities of graduate, undergraduate and Gatton Academy students in all disciplines. All student projects are mentored by WKU faculty and staff members. The conference will feature a keynote address that is free and open to the public. Dr. Johanna Kovarik, who has served for the past seven years as the National Cave and Karst Program Lead for the U.S. Forest Service, will speak on Lights in the Darkness: Stories from the Underground at 10 a.m. in the Downing Student Union, room 3020. Dr. Kovarik earned her master’s in Geoscience at WKU. The conference schedule features student presentations throughout the day in the Downing Student Union. Registration for all conference participants and guests begins at 7:30 a.m. Presentations start at 8:15 a.m. and conclude at 4 p.m. All student presentations are free and open to the public.